The faux wood ceramic tile suited this outdoor entertainment area beautifully. Only problem was that the tiles were very slippery when they got wet. 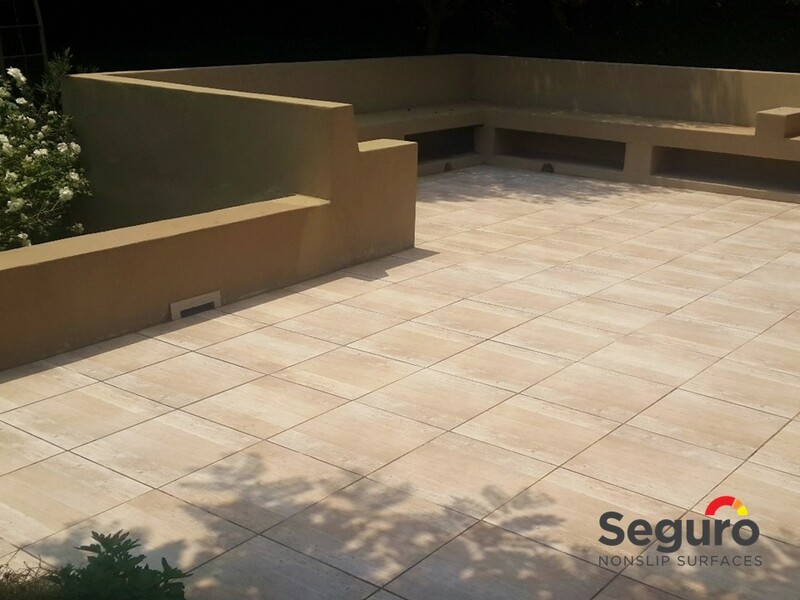 The client requested our anti-slip coating to add slip-resistance without changing the appearance of the tiles. The patio is in a well established garden. Choosing our titanium anti-slip coating meant that the area could be made safer without any mess and the surface would be ready for use immediately after the application. The anti-slip coating was successfully applied to the patio tiles and we are glad to have added significant slip-resistance to the tiles to ensure the surface is much safer to walk on in wet conditions.